For quite a while now, Y&R viewers have been clamouring for Victor Newman to accept responsibility for his evil deeds. He always seems to get away with his reprehensible crimes. However, "The Moustache" is currently facing his most difficult challenge as many people in Genoa City would just love to bring him down. Will it happen, though? Will he finally get his comeuppance? 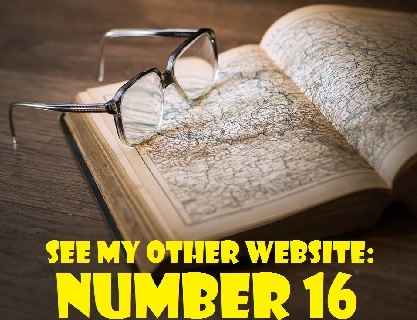 Is this Victor's last stand, his Waterloo? I'm not so sure. Ol' Vic is very resilient. He's the ultimate escape artist, the Houdini of the soap world. Although he's been arrested and released on bail, I don't think Victor will spend a great deal of time in prison - even if he's convicted. There's certainly a blockbuster trial on the horizon. It's no coincidence that defence lawyer Leslie Michaelson, played by Angell Conwell, will be returning to the screen soon. She'll probably be defending Victor. Christine (a.k.a. The Cricketmeister) will be be prosecuting. I hope she can control her personal feelings better than she did at Adam's trial. Victor never stops reminding people that he was abandoned as a child and placed in an orphanage. Yes, he had a difficult time and he had to struggle to survive on his own. Still, that does not justify his devious actions. It does not give him the right to control other people's lives or to engage in illegal activities. Well, well,well! It appears that Moneybags isn't the only blackmailer in the Newman family. Nikki isn't about above some shady business herself. She coolly tried to blackmail Judge Elise Moxley by threatening to reveal the judge's long ago affair with Victor if she did not go easy on grandson Noah in the hit-and-run case? The Newmans have a sense of entitlement. They act as if they are above the law because they are rich and powerful. I guess Miss Nikki is no exception. To quote District Attorney Cricketmeister, "Every time a Newman breaks the law, they either buy or blackmail their way out of trouble . . . It's been happening for years and I am so sick and tired of it." So are we, Cricket! So are we! Speaking of blackmail, Hilary is indulging in some of it herself. Her nasty side is resurfacing and she's taking advantage of a sick and vulnerable Ashley. The writers needed her to be bad again for storyline purposes, so suddenly she's mean and bossy. Then there's Phyllis. She attempted to obstruct justice by convincing Michael Baldwin not to put up the best defence for Victor Newman. She wanted him to blow the case purposely. The woman is so consumed with hatred for Victor that her eyes are flaring (good acting by Gina Tognoni, who plays fiery Phyllis). She asked her close friend, Michael, to turn his back on his most cherished beliefs and to jeopardize his law career. At least he had enough integrity to turn her down. A desperate Victor resorted to blackmail again when he learned that Judge Moxley would be presiding over his trial. He held her long ago indiscretion with him over her head again. He was confident that she would cave in. Fortunately, she didn't. She publicly revealed her affair with the Black Knight and resigned from the Newman case. Good for her! Noah should not marry Marisa as an alternative to running off to some tropical island again. Not surprisingly, Marisa's was the one who suggested that they run and hide. She tries to solve all her problems by lying and running away. There's another difficulty, too. Marisa's already married to Luca and would have to get a divorce pretty quickly. He may be reluctant to let her go, unless he's really set on wooing Summer. If Noah is foolish enough to marry Marisa, it will be disaster for him. She's bad news and will completely mess up his life. Kate Linder has portrayed Esther Valentine since 1982. She tirelessly promotes The Young and Restless and hosts Y&R charity teas for the March of Dimes. Kate is a very kind and generous person who gives of her time unselfishly. Her character, Esther, finally left the Chancellor mansion after 33 years of service as Katherine Chancellor's devoted housekeeper. Dylan hired her to work in his coffeehouse, Crimson Lights.. It seemed that she was going to become involved in a good, juicy storyline again. Since then, nothing. Unless I've missed something, there's been no explanation as to what's happened to Esther. She did appear briefly in this week's memorable episode in which Victor imagined what would happen to his family and friends if he had not "protected them." It was just a cameo, though. Since the death of Jeanne Cooper, who played Mrs. Chancellor, Esther has only been seen sporadically. When she quit her job as a maid and set out on her own, it seemed as if a promising storyline was in the cards for her. In a September of 2015, Soap Central published an interview with Kate in which she was quite optimistic about her character's future. She praised the Y&R writers and called them "amazing" for coming up with idea of having Esther work at the coffeehouse. "I would never have thought of it, and I think it's great," she said enthusiastically. It's really fabulous for me, and I'm enjoying it immensely, working with different people. I think you will see a whole new side of Esther, you know, hopefully, that we haven't seen in the last 33 year. She has grown definitely, and I think this gives her even more opportunity to grow." Unfortunately, Esther's promising storyline has never materialized. It has been left hanging. 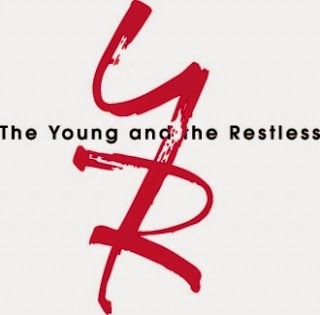 Do the produces and writers of The Young and the Restless think that fans have just forgotten? 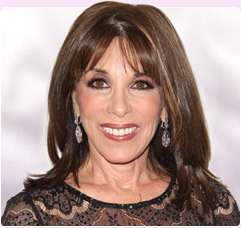 Kate Linder certainly deserves better and so do Y&R fans. This situation should be rectified. It is very disappointing. Here are some comments from regular contributor Patsy in Sarasota, Florida. I am hoping that Victor's victims get justice this time! "The Moustache" has just gotten away with every rotten, nasty twist and turn for too long. There has to be some justice. And seeing Nikki and Victoria turn on Victor was great. The hospital scene was Victor at his best . . . A cornered animal! He has lost all his allies. I do see Sharon and Nick back together as they have been walking down memory lane too many times. I have no faith in Sharon and Dylan as a couple. I want Sage to get her baby back and close that chapter. Summer and Luca together is stupid. Why can't Summer act her age and just go to college? Why can't she have a regular life, not a corporate job with Victor? Well, Patsy, you get no argument from me about Victor. The man will never admit he was wrong. He will never apologize for his misdeeds. You are so right when you say he was cornered. He just couldn't believe that his precious princess, Victoria, would actually turn him in to the police. He was so shocked that the only thing he could do was to feign illness. He was rushed to the hospital, but Nikki wasn't fooled. She knew he was faking. By the way, Summer seems to half-believe Victor's ridiculous story about what would have happened if he hadn't stayed around to "protect" his family. She told her grandfather that he had gone "a little too far." "A little too far," Summer? Aren't fraud and kidnapping serious crimes? According to the Great Victor Newman, without him, the Newman women would have become poverty stricken stricken or tramps or both. Victor also takes credit for getting Phyllis out of her coma. The truth is that he only helped Phyllis because it served his purpose. He wanted her to prevent Nick from remarrying Sharon. Speaking of Sharon and Nick, it won't be too long before they are back together. Sage will get her baby back eventually. According to Internet spoilers, Sharon will discover that her DNA doesn't match Sully's. As for Summer, she and Kyle are will soon be history. What if Fen returns and Supergirl is torn between him and Luca? Nothing about Summer's life has been "regular." Her paternity results were changed and just when she had gotten used to having Jack as her biological father, she learned that Nick was indeed her daddy. Not only that, but her best friend, Courtney, and her husband, Austin, were murdered by a rogue detective and a devious drug lord. She was widowed at the age of 20. Although Summer really seems to be falling for Luca Santori, their could be someone else in the picture. I'm referring to Genoa City's resident computer hacker, Natalie. Regular viewer, Fifi from Collingwood, Ontario thinks that Natalie will also fall for Santori. She contends that although Natalie pretends to be absorbed with her computer hacking, she is not really disinterested in romance. I agree with Fifi and I predict that there will be scene in which the Swiss Miss removes her glasses and dresses beautifully. Stand aside, Hillary Clinton! Eileen Davidson has been cast as the President of the United States in a new film called Spychosis. The film,stars Jamie Lee Curtis, John Savage and Vince Van Patten (Eileen's husband). It tells the tale of a spy who is being hunted down by assassins and is scheduled for release in the summer of 2017. Fans would like Victim Newman to face the music. but how should he be dealt with in a just manner? 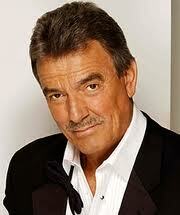 What should be proper "justice" in the Victor Newman case? Victor should spend 15 to 20 years in prison. Victor should never be allowed to run a company again. Victor should be compelled to work at Jabot for five years and would have to take orders directly from Jack Abbott. He would be given a low position at Jabot and would have to remain in that position for the entire five years. Victor should have to pay a billion dollar fine. He should also have to travel all over the world making speeches about the evils of blackmail, fraud and other crimes. Victor should be stripped of his wealth for three years and he should have to spend those three years serving coffee at Crimson Lights. That's all for now. Don't forget that the next Y&R Report will appear in this space on Saurday, March 19, 2016.